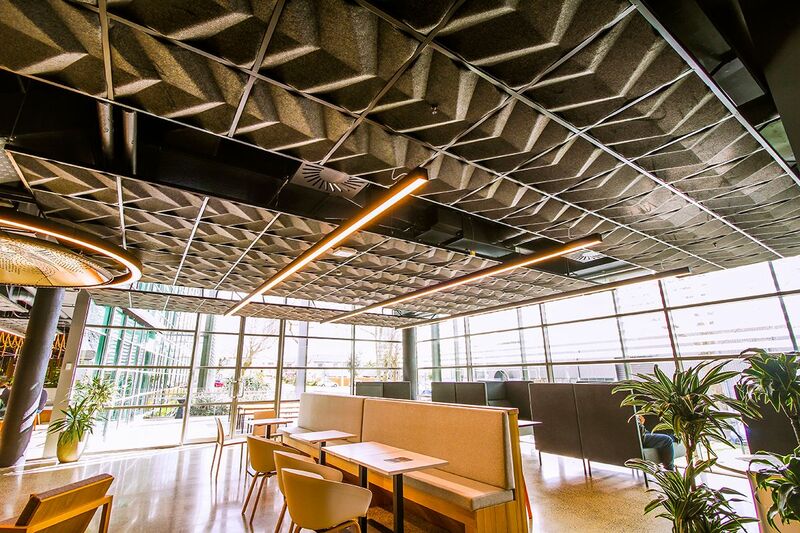 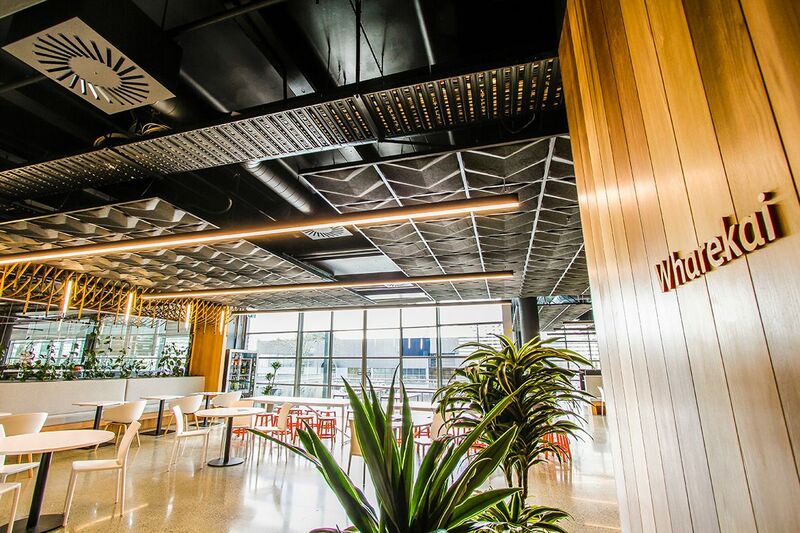 T&R Interior Systems provided 3d Acoustic polyester ceiling tiles and Eclipse Aluminium for the new Maori TV building in South Auckland. 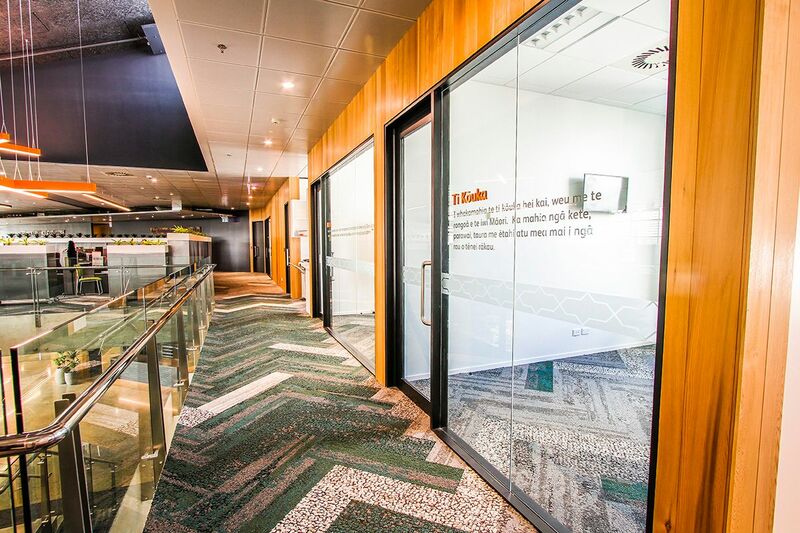 The purpose of moving Maori TV was to find a building which would suit the future and give them the space to grow. 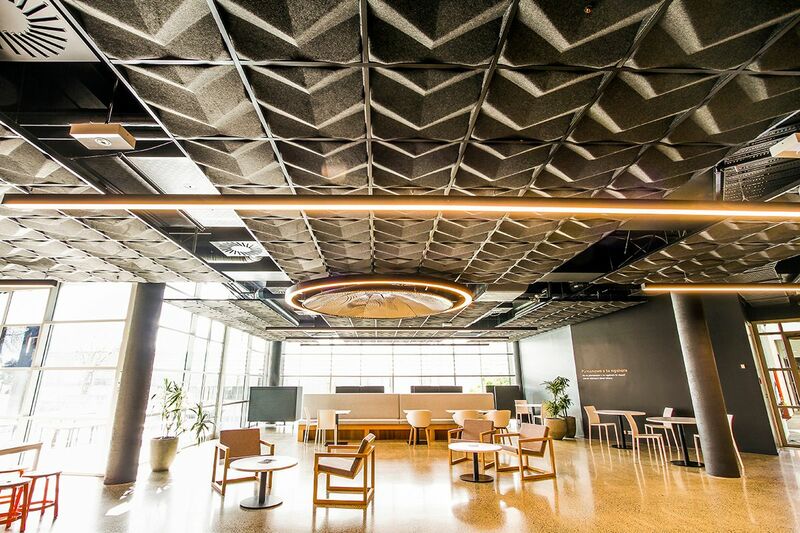 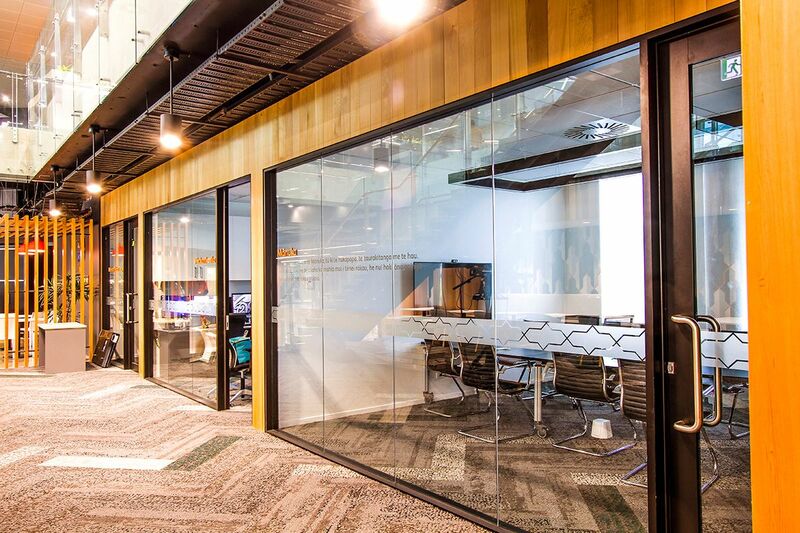 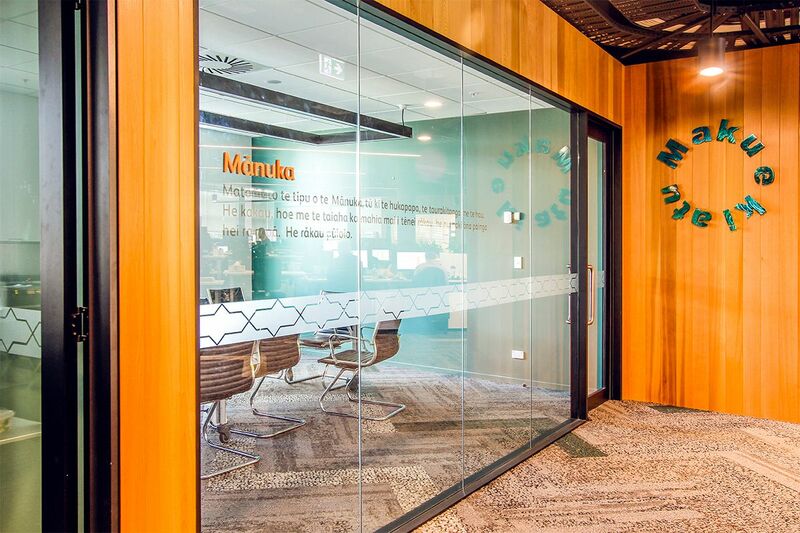 T&R is proud to have provided the Chevron 3D Acoustic tiles and 92mm Black Eclipse Aluminium Suite for the breakout spaces.